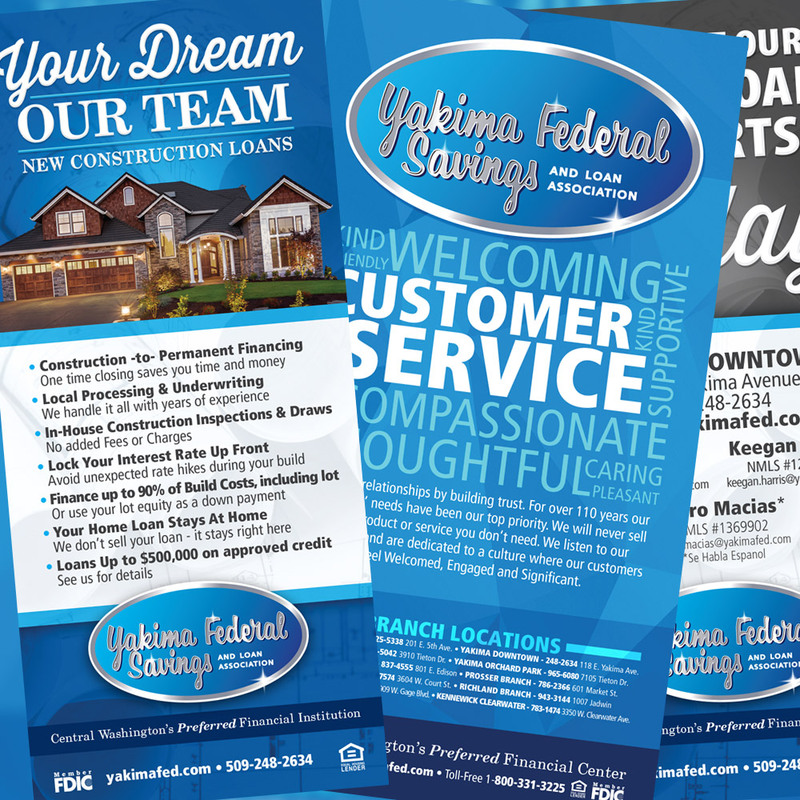 Yakima Federal Savings and Loan. Established in 1905, Yakima Federal Savings and Loan Association now has 10 branches in Central Washington with assets making them one of the largest Savings and Loans west of the Mississippi. 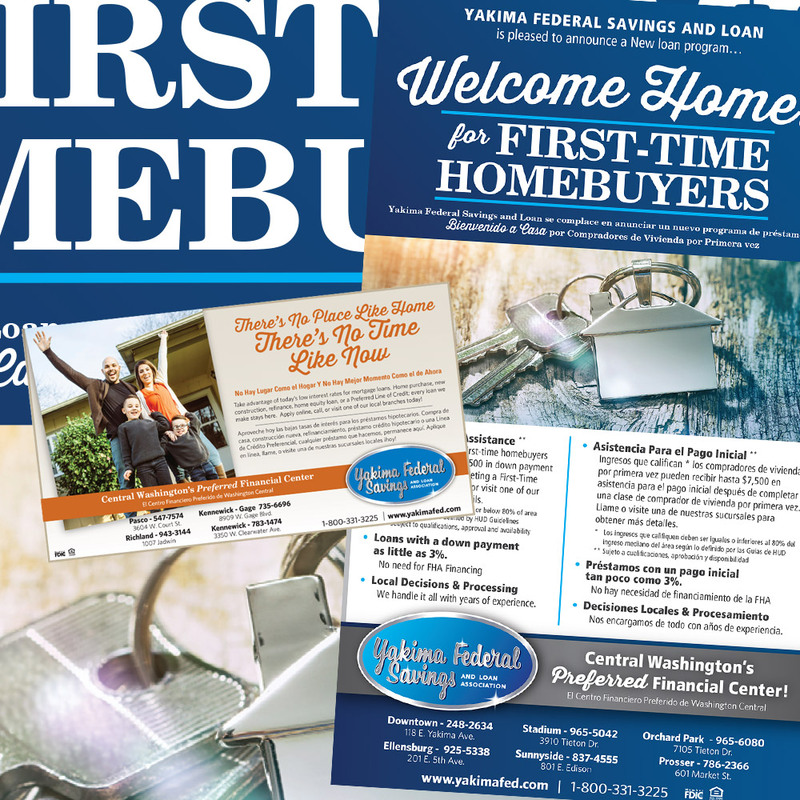 SPD&G started working with Yakima Federal in the mid-1980’s and over the years we have produced and placed a number of newspaper and radio ad campaigns promoting savings and checking, home loans and retirement accounts. We have also helped design and produce annual reports, historical publications and several different collateral pieces for them over the years.